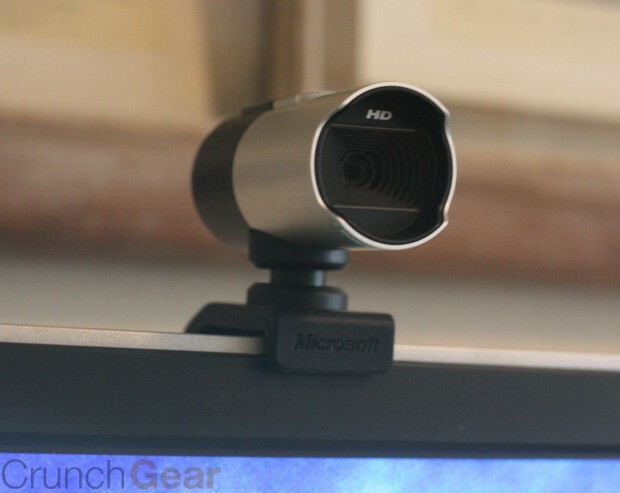 Short version: It’s pricey and rather bulky, but it’s definitely an improvement over the other HD webcams out there, and a huge improvement over piece of junk embedded in your bezel. 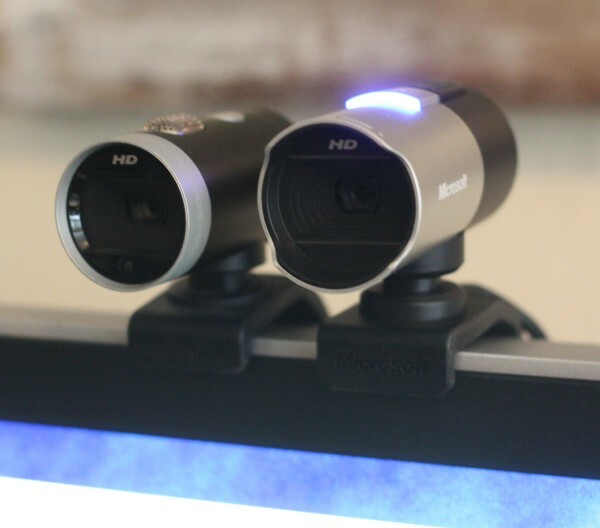 The new Lifecam Studio is easy to review, because A: it’s a webcam and B: it’s probably the best webcam out there. While I do occasionally rant about misusing “1080p” on devices which cannot possibly resolve the detail traditionally associated with that resolution, this webcam does nevertheless represent a significant upgrade from the 720p Lifecam Cinema (the smaller one pictured there), and is a major leap ahead of the iSights and in-bezel webcams out there today. Microsoft claims to have improved pretty much everything about the previous Lifecam, and while I normally take these claims with a grain of salt, they seem to be genuine here. The best way to show you is just to show you. Here are two stills, the first taken with the old Lifecam Cinema and the second from the newer Lifecam Studio. I haven’t altered them except to save them as normal high-quality JPEGs. Look at the full-size ones to see the extent of the differences. I’m not quite sure why the top one is so much more saturated, but that’s something you can control in the image preferences anyway. Note the lack of chromatic aberration on the keys of the typewriter, the legibility of the maps, and so on. The detail really is improved quite a bit. 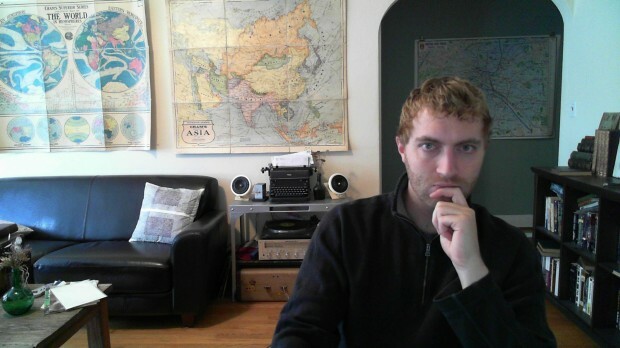 It goes without saying that this image is way better than one you’d get from a standard built-in webcam. You might also note that I’m not actually in focus in either shot; Microsoft does not seem to have improved the tendency of these cameras to focus on the background rather than the subject. Luckily, you can also adjust the focus manually if it’s giving you trouble with a certain lighting situation. I’ve got a lot going on in the background there, obviously, for instance, so maybe it’s confused. You’d think they’d tell the autofocus “focus on the round, bobbing thing in the middle, the thing with eyes.” It can focus ridiculously close, too, like macro close, which is occasionally useful. But the autofocus is slow and chooses awkward times to focus all the way in and out before settling on you, which can be problematic if you’re recording a video. The native widescreen aspect ratio is great and makes it so your image on the other screen (or your own, if you’re doing a webcast or whatnot) isn’t just a head with a little bit of stuff around it. And a widescreen image fits better if you’re doing things in full-screen as well, since nobody has 4:3 screens any more except iPad owners, and they can’t do video chat. In fact, there are precious few ways to get your full 1080p, native widescreen self out there. Sure, you can record videos and take pictures, but for video chat, Microsoft’s Live Messenger app is the only one that currently supports the full capabilities of the Studio. Hopefully this will be changed, but it’s out of Microsoft’s hands. There’s a little button on the top that lets you open up your contacts easily, though I don’t know if it’s really saving us a lot of time. Why not put the microphone a little closer, if you’ve got enough space for a button like that? I didn’t actually have any trouble with the microphone, but you’d think they’d want a slightly directional one on the front of the thing, not one on the top catching any ambient noise there might be. A new addition to this edition is a tripod mount on the “foot” that grips your monitor. 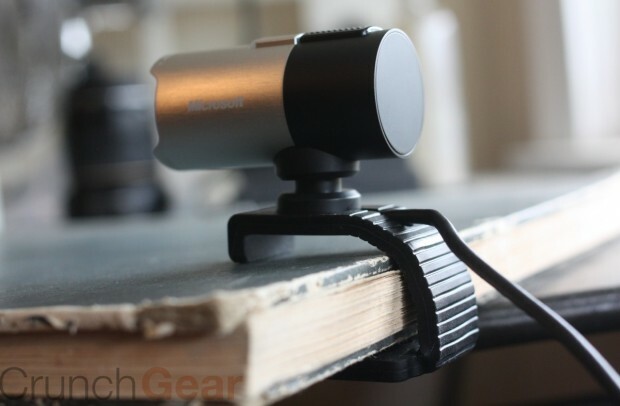 This is a great idea, and makes it easy to make a “communal” webcam on a tripod in a room, or wrapped around a piece of the room on a GorillaPod. It also makes it much more versatile with a laptop; no more need to turn the whole computer to change the view. In fact, the camera itself rotates in a full circle. 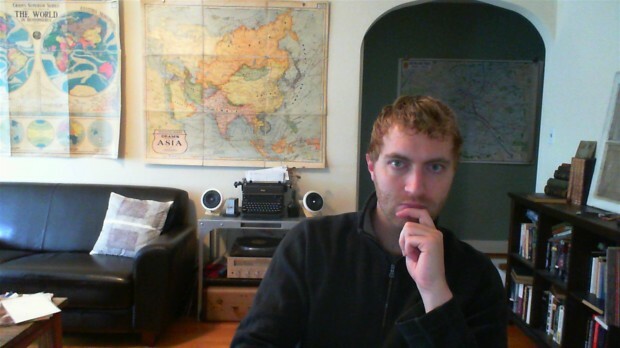 Comparing this camera to your standard VGA webcam isn’t really fair; this is a luxury item and it performs like it. At a hundred bucks, it’s still a hard sell, though: even if it performs very well, there are less opportunities for it to perform than we’d like. Until Skype and other popular video calling services get their acts together, buying this device is an act of preparation. That said, even if you’re streaming at 320×240 over DSL, you can only have the best image at the other end if you start with the best image on this end, and the best image comes out of the Lifecam Studio right now.